We can't get enough of Pinterest, especially now that everyone's chatting about the best home improvement trends of 2015. Here's our contribution to the dialogue. Pin them to your boards by checking out our stash of stylish pins at www.pinterest.com/insidescv. 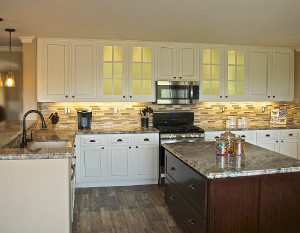 backsplash tile design and very smart tile flooring that looks exactly like distressed wood but is easier to maintain. cleaning I can get behind! Perfection! 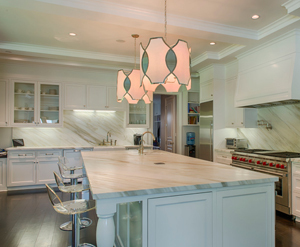 Marble is a top 2015 trend that's growing in popularity thanks to the increasing popularity in white cabinetry. Homeowners choose marble not only for its timeless beauty but because the white brightness is not available in granite or soapstone. Another bonus: Carrara marble is very affordable. ideal surface for working with pastry. Beautify your home with new flooring! that vary in function and style. in the SCV with a huge sale on all flooring in stock! a 2015 trend, make this one particularly inviting. help this space "go green" with effortless style. 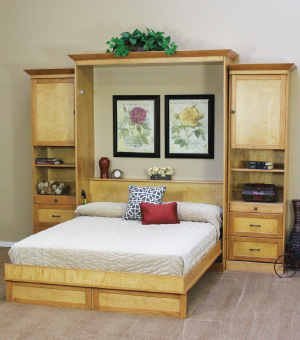 wall bed that fits your life - and decor. DesignDiva Love how wall beds create double-duty functional space. The office or gym can turn into a guest room in seconds! 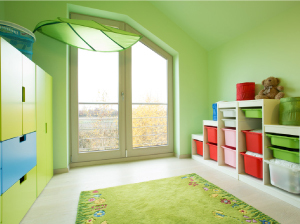 One of 2015's top eye-popping painting trends takes color to a new level - specifically, the ceiling. Consistent color from wall to ceiling can expand your space when you choose a light shade or make the room feel cozier when you go darker. PaintPro By not breaking up the space with a different color on the ceiling, the room appears larger and more airy. 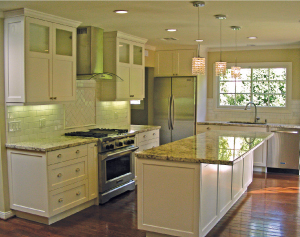 Does your Trendsetting Home Improvement Add Up? The "cost versus value" report is out and it's a good marker of where we're at when you look at home improvements as an investment. (Find the info at www.remodeling.hw.net/cost-vs-value/2015/) The takeaway, though, is this: Don't get too hung up on the "down turn." Evaluate your needs and budget and take my advice to heart for maximum gain. Investment improvements should be reviewed just like it would be by a financial advisor. Home improvements are an asset and should not be looked at as a period in time, like an income statement, but over the life of the asset, as in a balance sheet. Though an investment in a home today - based upon the current return on investment - may not appear strong, it is difficult to understand that such an investment will be a value holder at a later point in time. Also remember that investing in the labor and material cost today with "2015 dollars" will be less then investing later, thanks to inflation. Translation: You'll be paying less by investing today as opposed to tomorrow. Further, investing in maintenance items like roofs, siding or any deteriorating elements will cost less now, as they will create greater, more expensive problems from neglect or deferred maintenance.